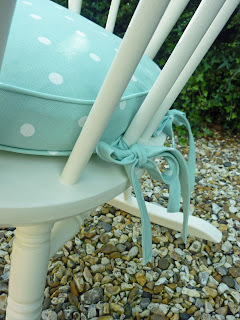 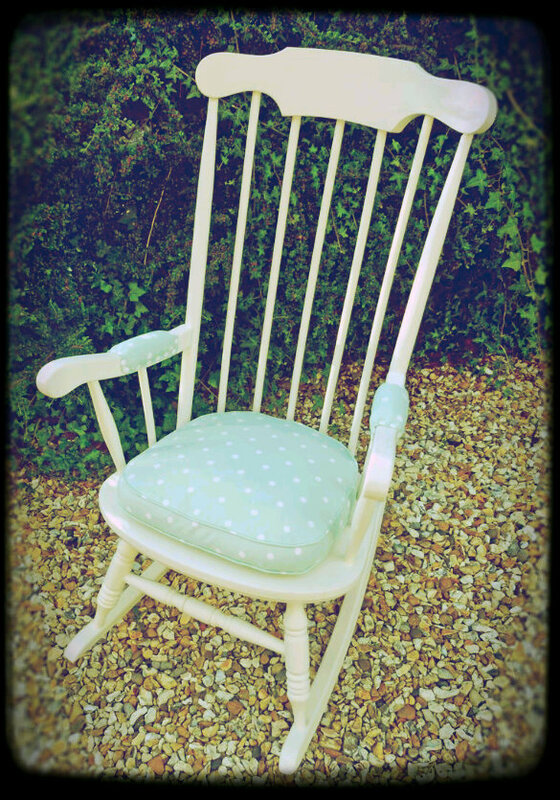 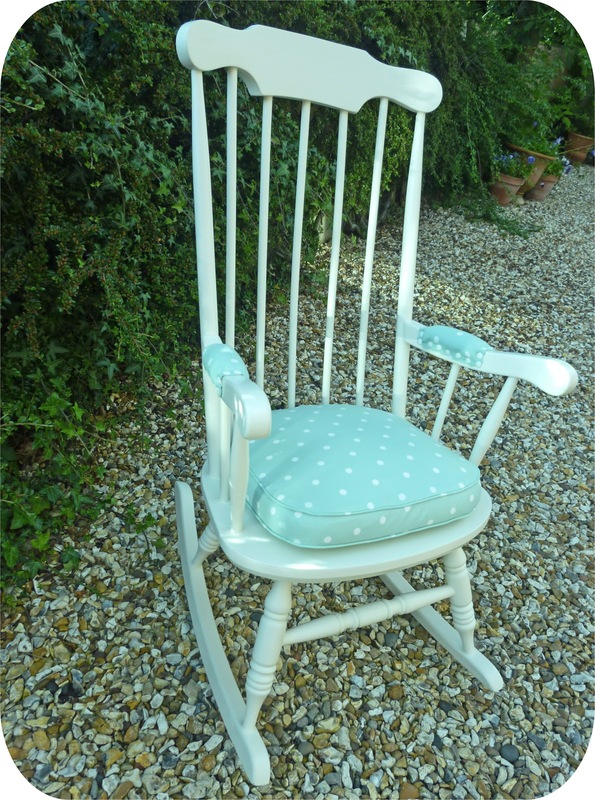 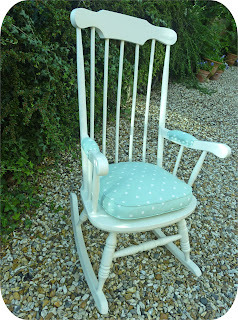 This weeks commission was a customisation of an old rocking chair. The chair was ready painted by the customer for me to add the arm pads and make a box cushion - such a good idea, and perfect for a nursery. 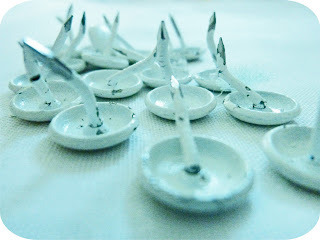 It was a bit tricky getting the Enamel studs in the correct place and there were quite a few wasted --grrr! 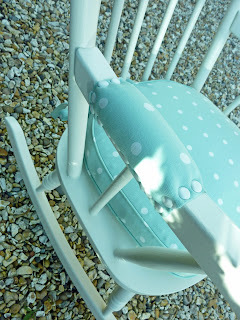 But very happy with the overall finish and cant wait to see how it looks in the Nursery with Mummy and the little one (due in a week) in the chair.